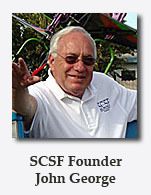 The Santa Clara Schools Foundation (SCSF) is a nonprofit, all volunteer public benefit corporation formed in 1992 to help enrich the education of the students in the Santa Clara Unified School District by funding programs, projects, scholarships, and citizenship awards. The Foundation is not supported by taxpayer dollars and donations are tax deductible. Since its inception, the Foundation has raised money through fundraisers and donations from parents, teachers, corporations, and other community members. The funds raised typically go directly to the classroom in response to grant requests from teachers. The Foundation also provides scholarships to worthy seniors each year. The Foundation’s funding for grants, scholarships and citizenship awards is now approaching one million dollars. We invite you to explore our Website and learn about our organization. Thank you for your visit, and please contact us if you would like any additional information.